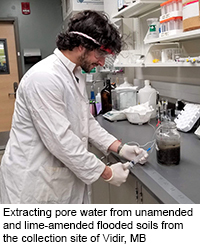 A laboratory experiment was conducted using two surface soils collected from Manitoba to compare the effect of prolonged flooding on phosphorus release from soils to floodwater and to investigate the effect of lime amendment in reducing phosphorus release to floodwater. 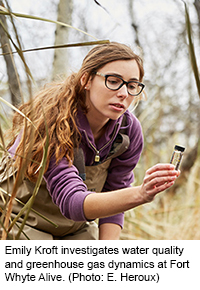 A clay loam soils with relatively high phosphorus collected from Interlake area and a sandy loam soil with relatively lower phosphorus collected from south west Manitoba were used for the study. Phosphorus release to pore water and floodwater over a ten-week flooding period was compared in unamended and lime-amended soils. India is currently going through a period of rapid economic growth, natural resource privatization, and an expanding socioeconomic divide. At the same time, India’s environmental policies and jurisprudence have developed significantly over the past few decades by the addition of innovative legal tools. These include public interest litigation, and specialized legal bodies, namely, Green Benches of state courts and the National Green Tribunal (NGT). Although these developments have had positive environmental effects in India, they have also been criticized for not progressing the environmental or economic interests of the poor, instead often reflecting the priorities and values of the urban middle class. 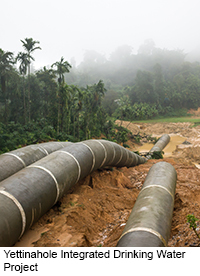 By looking into a controversial water diversion project in the state of Karnataka and its corresponding court proceedings, Sean’s research aims to understand the efficacy of the green courts in protecting the environment and marginalized sectors of society in India. Sean received an Undergraduate Student Research Travel Grant and a Queen Elizabeth II Diamond Jubilee Scholarship. Ponds and wetlands can be important sources of greenhouse gases to the atmosphere, particularly through ebullition (bubbling). However, greenhouse gas ebullition is extremely variable in both time and space and is affected by numerous environmental factors. Sediments at the bottom of water bodies are also a large source of greenhouse gases, including methane, a particularly powerful greenhouse gas. The goal of this research is to determine factors which influence the rate of greenhouse gas production from small water bodies near urban areas. We measured the volume of greenhouse gas production from seven ponds at two locations near Winnipeg, MB, as well as locations near Saskatoon SK, Waterloo ON and Columbia MO. At these ponds, we analyzed environmental factors including temperature, sediment characteristics, and water chemistry. These results will help us to better understand where greenhouse gases are coming from and could help with issues of greenhouse gas budgeting. 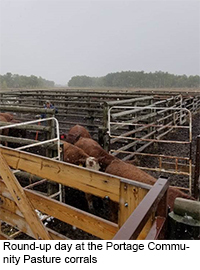 The Canadian Community Pastures Program (CPP) began in 1939 under the Prairie Farm Rehabilitation Act in an effort to mitigate the effects of severe drought in the prairies through conversion of submarginal land into shared pasture lands managed by the federal government. In 2012, the Canadian federal government withdrew their involvement from the CPP and transferred the program to the respective provincial governments. The Portage Community Pasture (PCP) in Manitoba formed its own association, the Portage Pasture Association, and is operated by and for its users. An institutional analysis is being performed on the PCP to identify: i) governance structures used for decision making and community pasture operations; ii) perspectives of commons users and managers on changing governance structures; and, iii) long-term sustainability and equity in governance of the PCP. Theoretical principles of common property resource have been operationalized into questions that are being asked to the users of the PCP. This will be one of the first case studies on community pastures in Canada since the federal transfer.